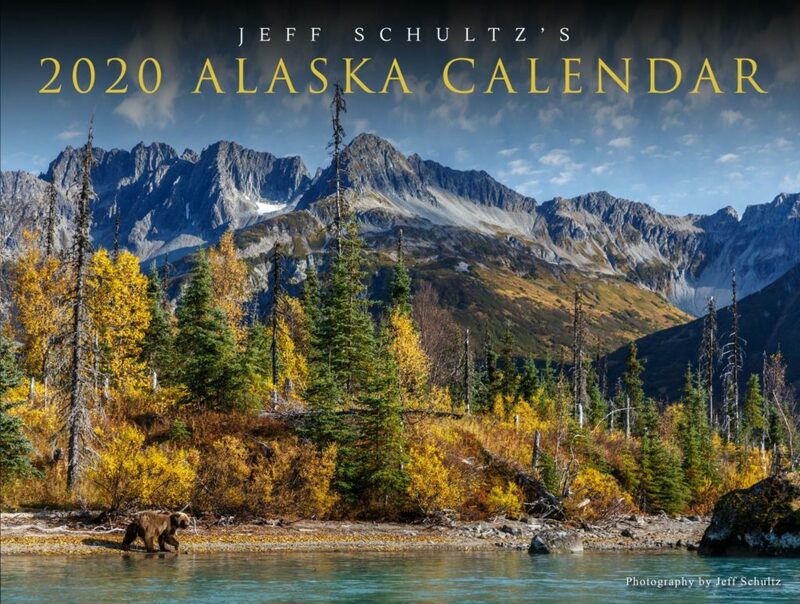 Alaska Calendar, Books, Posters & more. 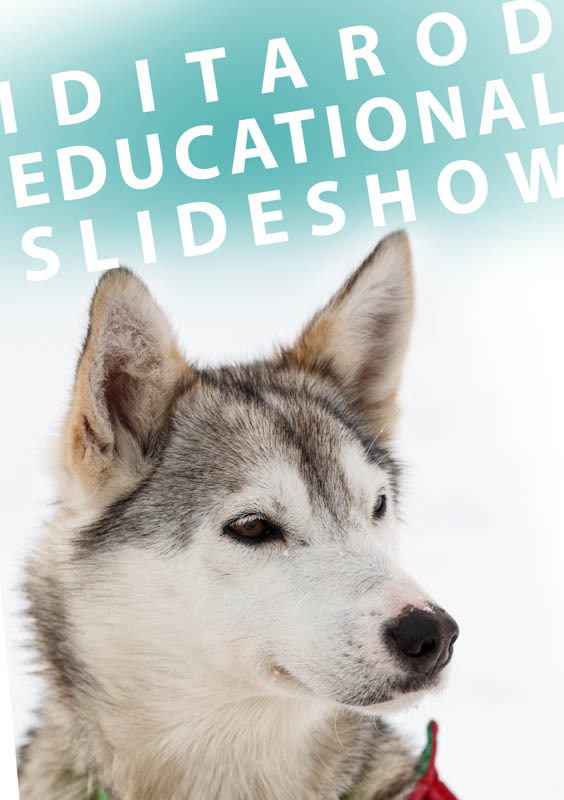 This a comprehensive Iditarod slide show that is geared specifically toward the veterinarian and is a perfect way for veterinarians to educate an audience about the Iditarod race and about the workings vets do on the race. 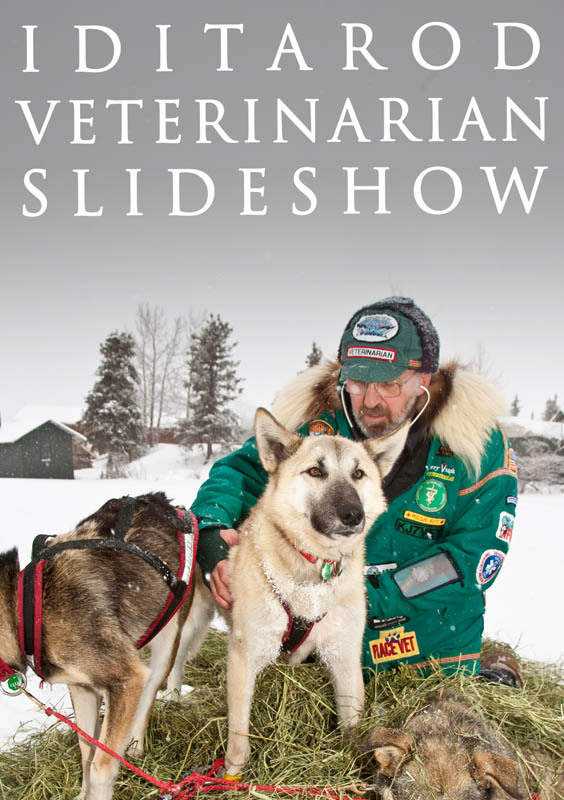 The images are arranged in such a way that they tell the Iditarod story including the history of the trail, history of the race and all about the various trail conditions, checkpoints and many details a musher goes through before and during the race. All aspects are illustrated with these 300 photos. 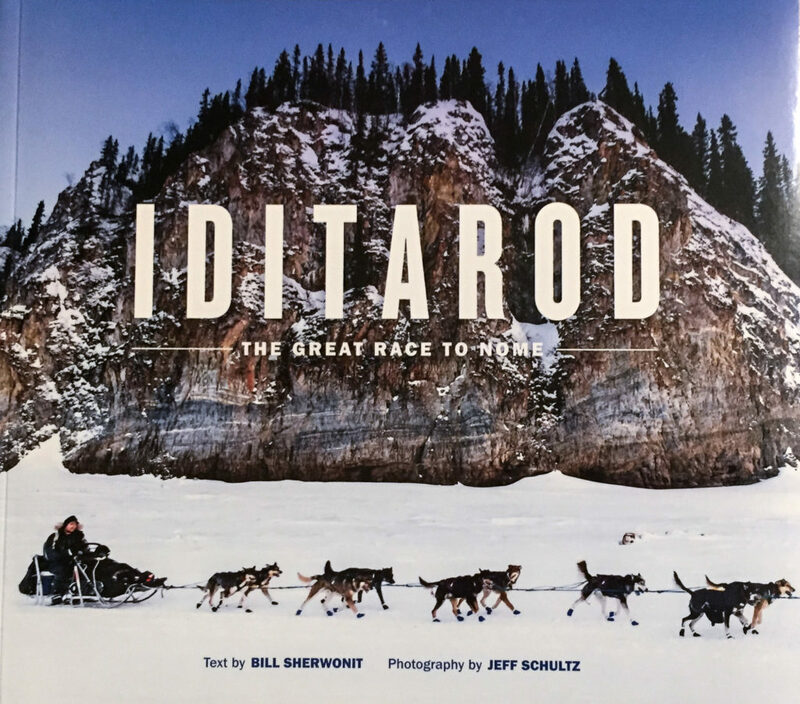 Jeff Schultz has made several posters commemorating the Iditarod over the years. 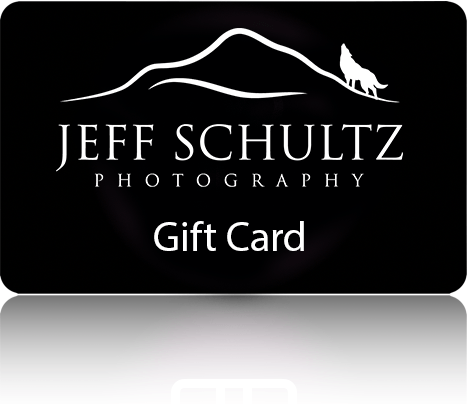 Each is hand-signed by Jeff. This 16” x 20” poster was produced in 1997 to commemorate the 25th running of the race that year and is printed on extra-heavy stock. 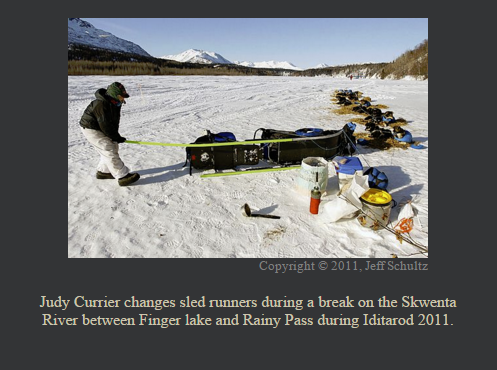 The photo was taken during the 1996 race at sunrise, about 3 miles after the Rainy Pass checkpoint, and shows musher Stan (hip-hip) Zuray mushing up a hill with the Alaska Range in the background. This is my all-time favorite Iditarod photo, which shows Jason Barron running on the snow and glare ice of Farewell Lake during the 2008 race. 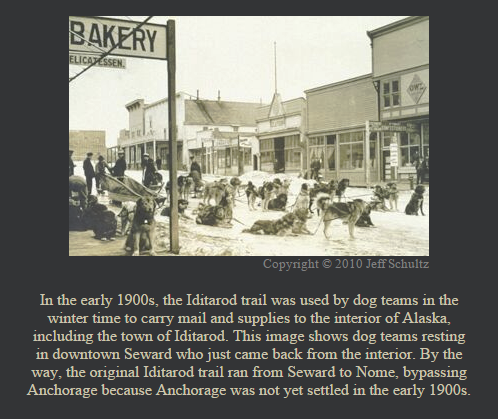 The 15”x 25” poster is printed on extra-heavy paper stock and is individually hand-signed and numbered in an edition of 1049, the number of miles that the Iditarod Trail length was advertised to be for many years. This 16 ½ x 22 poster is a composite image. The main photo was taken during the 2010 race in Ptarmigan Valley about 1/3 of the way between the Rainy Pass and Rohn checkpoints. 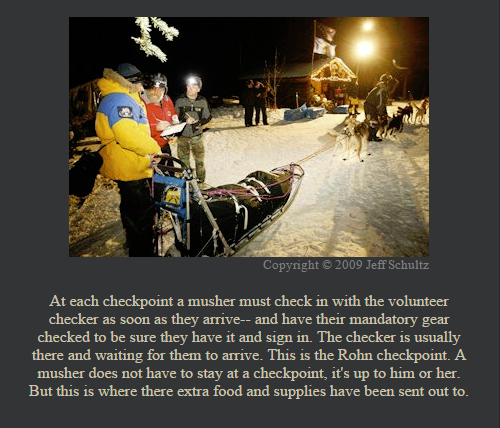 The musher is Paul Gebhart. The lead dogs running was an image I shot years and years ago that worked for this layout. This 9″x12″ “mini-poster” is printed on extra-heavy cardstock and is one of my most popular photos. I call it the “Happy Dog” photo. The photo has been used on the cover of magazines and on retail products. 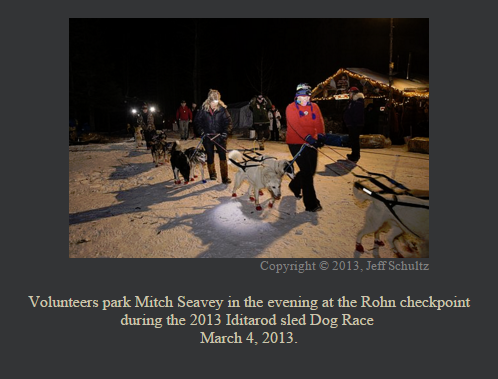 It is a photo of musher Sonny Lindner’s dog “Simbol” (sic) taken during the 2009 race in Takotna. Sonny stopped just long enough to check in and out. Simbol rolled in the snow and got up ready to run again. 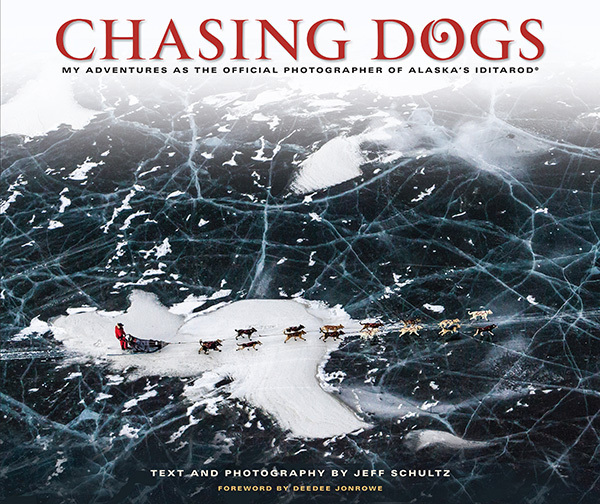 Jeff’s Iditarod photography work appears in many books and is featured in 6 books on the Iditarod including the most recent: “Iditarod Glory” (Graphic Arts Center Publishing) and “Dogs of the Iditarod” which he also wrote (Sasquatch Books). 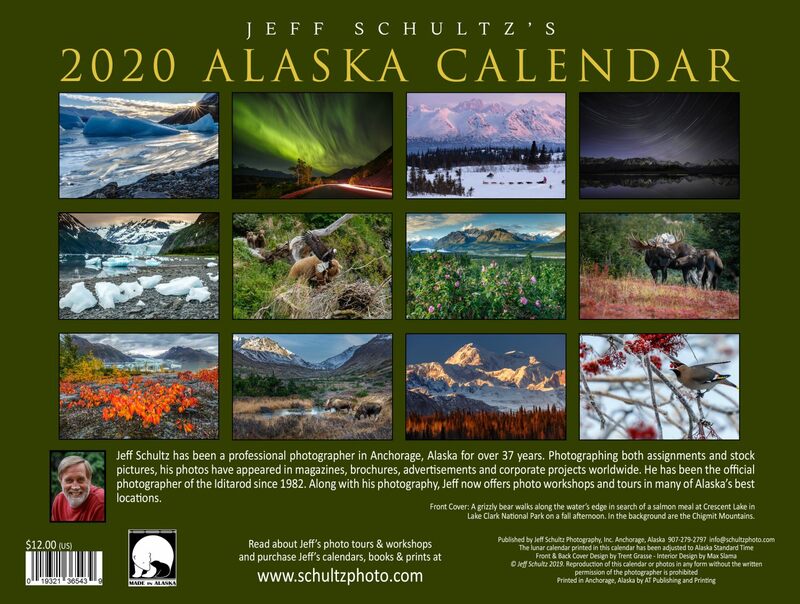 Below are some of the books Jeff’s work appears in or on as well as other good books on the Iditarod. These books can be ordered using the links below through Amazon.